The charm of King Theoden is a special creation. 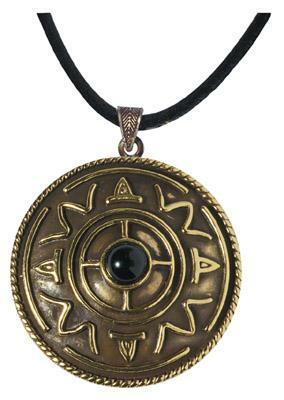 The pendant is made of 925 silver, gold, charged with Onyx stone and equipped with a leather braid. Sovereign of the Land of Rohan, King Theoden is a master and a brave soldier. Because of the slimy machinations of his servant Grima Wormtongue, the fallen wizard Saruman is able to subvert and poison Théoden's mind, discard Rohan into darkness and despair, but through the intervention of Gandalf, Theoden is freed from the negative Saruman. Back in health and in full possession of his faculties, the King banishes Wormtongue from his kingdom and returned to rule his people with wisdom and courage.